The Teatroiter is dedicated to improving your health one cup at a time by providing you with the highest quality hand selected loose leaf teas available. Health inspired for you! Kristen Pfeifer, Owner of The Teatroiter, hand selects real fruits, herbs, spices and teas to create healthy blends that you won’t find anywhere else. Free from dyes and sugars. 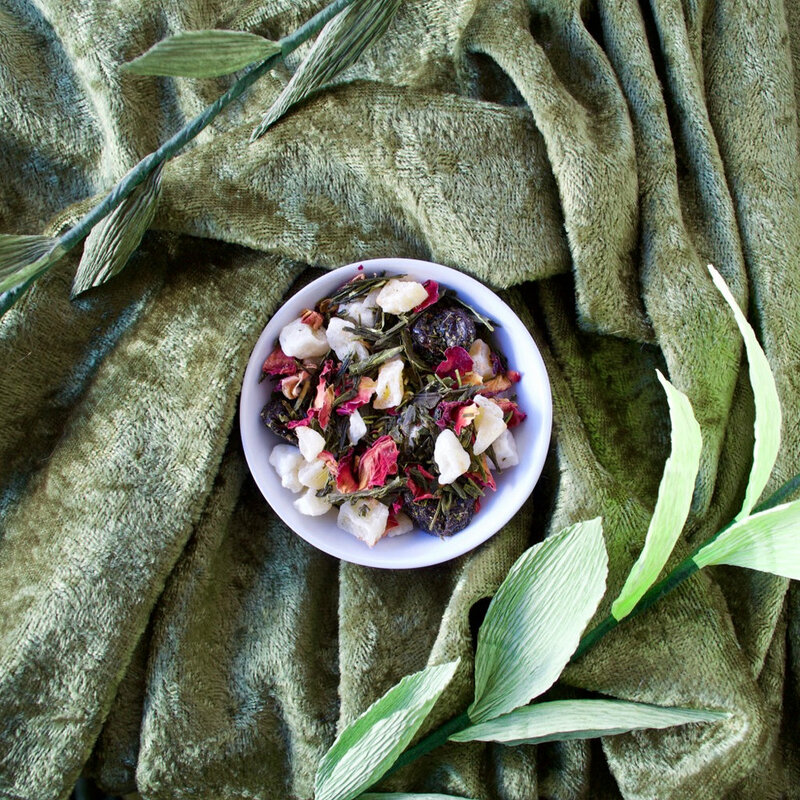 So just sit back, relax and enjoy the natural goodness of The Teatroiter health inspired loose leaf teas. We are currently working on opening our first tea pub in Dearborn, Michigan. If you’d like to help us open our doors, then please consider purchasing, Tea for a Year! We can tell you that after a year of giving up other drinks such as pop, juice and energy drinks that you will feel and see a difference in your health. And you will also be giving back to your community by helping us open our doors so we may reach out to so many more with our mission to decrease diabetes, obesity, and heart diseases in Michigan. Tea for a Year will include a universal infuser and a 2 oz bag the first month, then a 2 oz bag each month after for the rest of the year. $180 - free shipping included! Your first order will arrive by the 15th of each month. We love to share and keep you updated so visit our social pages to connect and learn about The Teatroiter’s newest offerings and latest events. Based in Dearborn, Michigan and proudly serving the metro Detroit area with loose leaf teas, health inspired for you since 2012. Cheers to improving your health one cup at a time!